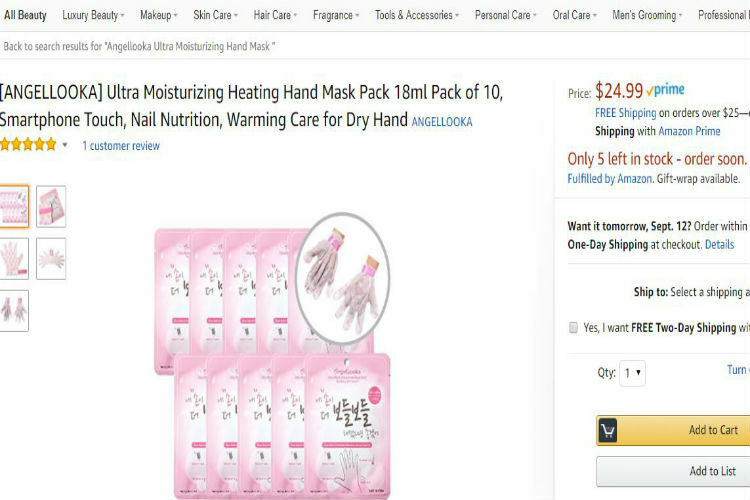 ﻿ 7 weird beauty inventions that will make you go WTF! 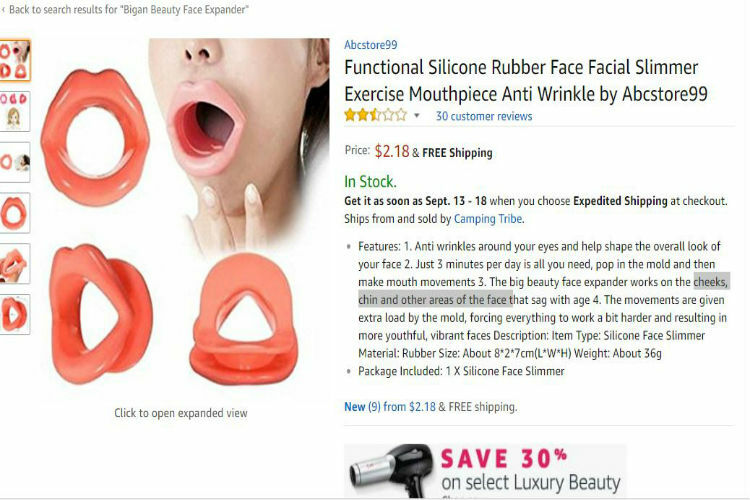 7 weird beauty inventions that will make you go WTF! When it comes to beauty and skin care, people all around the world have their own rituals. While some use outlandish measures like injecting ‘young blood’ in their skin, others stick to a combination of a strict diet and workout regime. And then there are some who use extreme chemical products to get their desired smooth and glowing skin. These beauty rituals have been further ‘promoted‘ by the crazy and weird beauty products available in the market. While it’s fun to watch beauty bloggers and vloggers try out these products, many times, it so happens that these products go beyond the realm of common sense and usage (of course!). Is your hectic lifestyle causing wrinkles on your face? Are you looking for an easy way out of your aging issues? 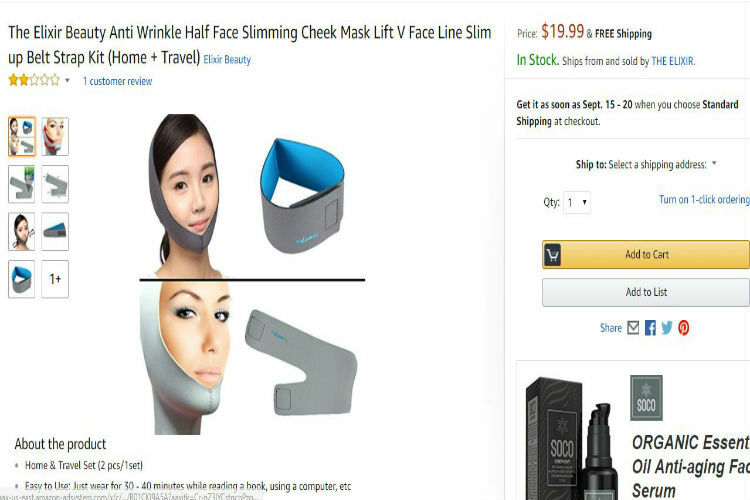 Here’s an anti-wrinkle mask that tightens your skin and magically cleans all your wrinkles. After all, aging is such a bad thing to happen that you need a sling (like the one you wear during fractures) to clear it all up! What do normal people do to keep their hands soft and problem free? Probably apply moisturizer after washing hands every time or applying a hand cream? Well, now there’s a ‘mask’ for hands that keeps them moist, warm and dead-skin free. Wonder if it’s a mask or a parlour lady? Whaaat! 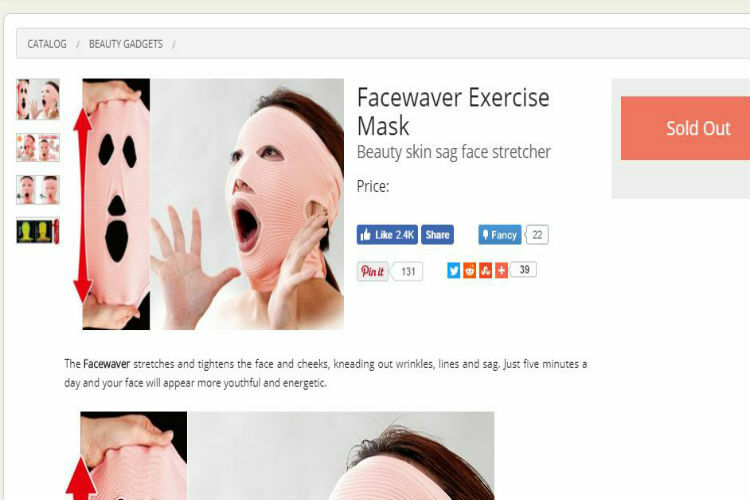 Getting over the shocking factors, as this mask/expander looks like a blowup doll helps you to ‘shape the overall look of your face’. It works on every thing including chin and cheeks. All you need to do is ‘make movements’. Even though we are still confused what this thing does, but the description says that it helps to massage the bust back into better form. If only it was that easy! 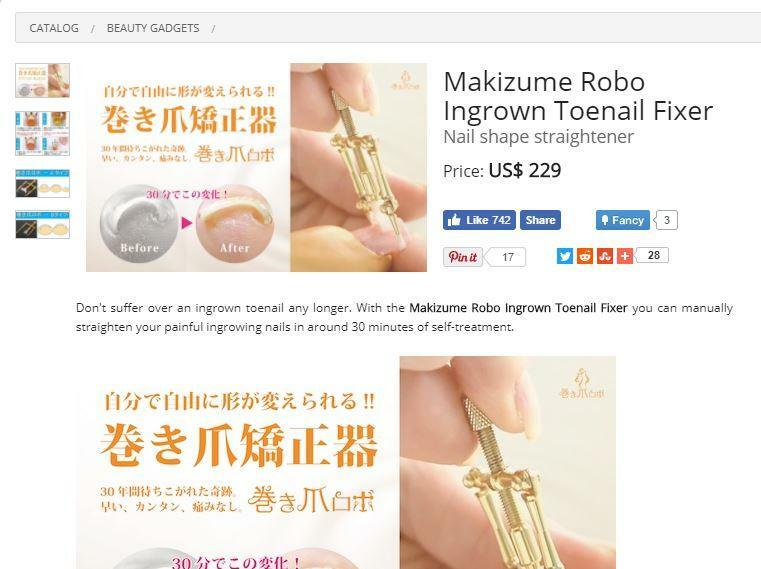 Admittedly, ingrown nails have always been a problem and cutting them out using a nail cutter is always a bit problematic, but cutting it out using a ‘robo’? The device looks like someone is about to perform a surgery on your toe. Scary! Another product to tighten the face. Incidentally, this one looks like a mask from the movie The Mummy. It’s scary and creepy. ALSO READ: Katrina Kaif, Kareena Kapoor and 5 other Bollywood actresses who look way prettier without makeup! Want bigger and an enhanced eyelid look (whatever that means), this is your pick. 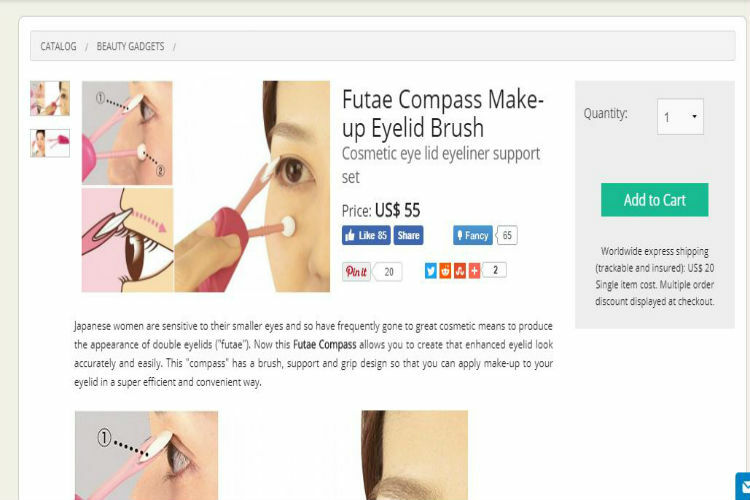 It has a makeup brush that creates a grip design so that your eyelids look bigger and better.